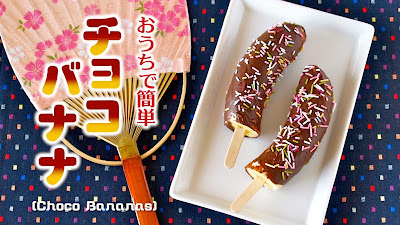 Choco Banana (Chocolate Covered Banana) is a very popular festival food in Japan. I received many requests for it but the recipe is obviously super easy… then one day I found a pretty convenient kit that you can make perfect Choco Bananas!!! You can coat a banana or any other fruits of your choice with a thin layer of crisp chocolate ;) Just amazing!! !